Of all the forms of plastic welding currently used in industry, ultrasonic welding is the most popular and versatile. There are good reasons for this. Ultrasonic welding can be used to weld a huge range of plastic components of all shapes and sizes, creating a strong and reliable bond. It is therefore extensively used across several industry sectors, for a variety of applications. Ultrasonic welding uses locally applied, high frequency sound vibrations to displace plastic molecules along a join and create a stable, solid state bind between two components, held together in a pressurised environment. It requires no bolts, nails, solder or other joining material. Unlike some other forms of plastic welding, it produces very little in the way of fumes, dust or excess heat energy, making it a clean and energy efficient form of welding. It also has the significant advantage of being able to join certain dissimilar materials without having to resort to adhesives. This page is our guide to ultrasonic welding machines and tooling. As a design engineer or production manager, there are different options available to you when it comes to welding; such as vibration welding, spin welding, infrared or hotplate welding. Our intention is to equip you with the knowledge you need to make an informed decision of whether ultrasonic welding can benefit your business. There isn’t a right or wrong decision – just one that is more suitable for your application than other methods. The first few sections of this guide will take a detailed look at the technique of ultrasonic welding and its associated equipment. We then take a look at ultrasonic tooling. At Xfurth we cover both areas. We design and manufacture a large range of handheld and static ultrasonic welders, and also create custom ultrasonic sonotrodes, with varying frequencies, for all brands of ultrasonic welding machine. 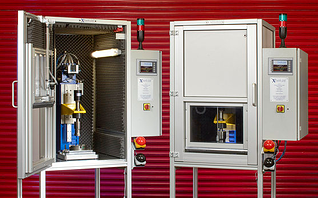 At Xfurth we specialise in supplying and manufacturing high quality plastic welding and joining systems. We offer our customers all the main thermoplastic welding technologies from our facility in Luton, Bedfordshire. All our machinery is designed, assembled and dispatched by our UK based team to customers around the world. Between us, our engineers and designers, we have an unrivalled knowledge base and experience in thermoplastic welding. We are passionate about our products and are committed to the highest standards of customer service. In particular, we work with customers to ensure the individual needs of your project are met and that any downtime is reduced to a minimum. Our supply partners have been carefully selected from a group of the world's leading specialist manufacturers. The quality equipment we provide is offered at competitive prices, with long warranties on all equipment. Our advisers are available to offer free advice to our customers, and spare parts are always kept at our workshop to facilitate fast repairs. If you would like to know more about our welding products, or our consultancy, design and product development services, please call us on 01582 436 000, or send an email to sales@xfurth.com. 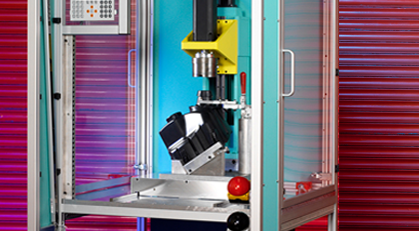 The development of commercial ultrasonic welding in the 1960s completely transformed the potential of plastic manufacturing. Until this point, only hard plastic components could be joined together in a stable weld. This limited the potential of plastic for use in the manufacturing industry. In the early 1960s a form of ultrasonic welding was developed, using ultrasound-emitting probes to bond together plastic film into tubes and bags. In 1965 the technique graduated from soft to rigid plastics and was put to use in the toy industry, making mass produced plastic toys cheap and accessible for the first time. From 1969 onwards, ultrasonic welding has been used to bond plastic components in the automotive industry, and then a growing list of other sectors in the ensuing decades. Due to the fact that ultrasonic welding does not involve adhesives or create dust (a potential contaminant), it can be used for a number of ‘clean’ medical products, including catheters, dialysis tubes, face masks, air filters and plastic textile garments. Ultrasonic welding is commonly used to seal containers, blister packs and cartons because of the strong bond it creates. Ultrasonic welding can form a hermetic seal around products containing hazardous materials, or high value products for additional retail security. Thousands of different electronic components can be successfully joined through ultrasonic welding, for which other forms of welding are unsuitable. Vibration welding, for instance, is unsuitable for welding microchips and electronic components because the vibrations can cause damage to tiny wires and circuits. Ultrasonic welding does not have this problem, so is frequently used for microchips, mini conductors, computer hard drives and other sensitive components. Ultrasonic welding is as suitable for bonding medium sized components used in aerospace and automotive manufacturing, as it is for delicate parts. Specialist machines have been developed for these industries to serve specific purposes. 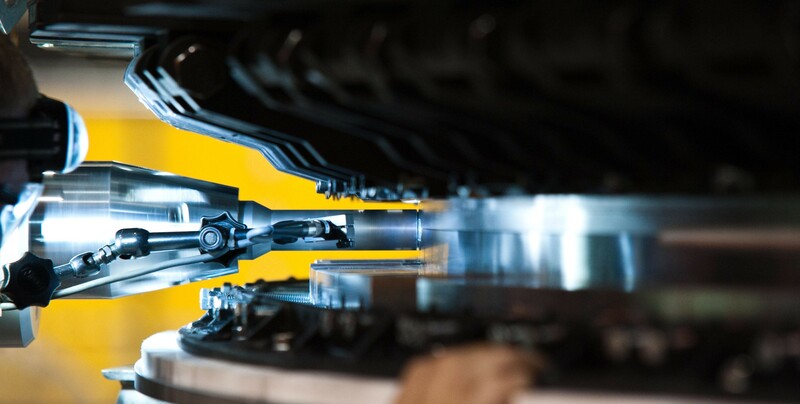 It is a sign of the great flexibility of ultrasonic welding that machines can be built to produce components as distinct as car bumpers and headlight housing. How do you decide if ultrasonic welding is the right method for your project? This all depends on your manufacturing requirements. Several important factors come into play that will help you make up your mind. We will now look at the following determining factors: part size, type of material, cost, performance parameters and part requirements. Ultrasonic welding can be used for small to medium-sized parts. If you need to weld large parts, you may need to consider a special purpose machine that can have multiple ultrasonic actuators welding either simultaneously or staged depending on the requirement. Ultrasonic welding can be used with a wide range of thermoplastic materials, including amorphous plastics, semi crystalline (for small parts only), some flexible plastics and films/fabrics. Ultrasonic welding is one of the cheapest and most flexible welding processes, making it ideal for projects with strict budgets. In terms of energy, labour costs, equipment and tooling costs - ultrasonic welding is consistently cheaper than all the alternatives, including vibration, hotplate and laser welding. Ultrasonic welding has the fastest cycle time of all the main welding methods. It can create a high strength weld, which is perfectly suitable for most components. Ultrasonic welding gives a moderate level of stress resistance, superior to other welding technologies. A big determining factor is the type of components you are working with and the integrity of weld you need to achieve. Ultrasonic welding can comfortably create airtight hermetic seals and form strong bonds between thin walled parts. This makes it a superior choice to other welding techniques when dealing with fragile components. You can also reliably weld internal surfaces. Some ultrasonic welding machines can handle multi-level or curved joints, but this very much depends on the component. If in doubt we recommend you chat with us about your project requirements before making an investment. The same applies if you require multiple parts per weld cycle. Some ultrasonic welders can do this, but it is part dependent. Ultrasonic welding uses high frequency vibrations to raise the temperature of a join in a very short amount of time. These localised vibrations create a linear friction which coupled with an applied force create a molecular bond at the weld joint. Once the required vibrational frequency is reached, the pressure can be gradually released and the cooling process begins, thereby solidifying the material and forming the weld. The time this takes varies on the size of the component, type of weld and material, however ultrasonic welding is a relatively fast method. Some welds can form in as short a time as 0.25 seconds. A complete welding cycle is usually completed between 3 - 5 seconds including actuation, welding and cooling. The weld cycle and bond strength can be controlled by varying the amplitude of the tooling, length of weld time and the pressure which is applied. Adjusting these three factors gives users a great deal of precision over the end result. The power supply transforms a low frequency, 50 to 60 kHz electric current to a high frequency, 20 to 40 kHz electric current. The application usually dictates which frequency is required. Most British manufactured ultrasonic welders fall into the 20 to 40 kHz range, but some can be as high as 15 kHz. Generally the higher the frequency, the smaller the tool, and the lower the wattage produced by the generator. For example, a 40 kHz is usually 800 watts, 20 kHz can be as high as 5,000 watts. The transducer, or converter, transforms the high frequency electric current into high frequency ultrasound vibration. These ultrasound vibrations, on their own, are not particularly strong; so they require a booster to increase their strength and intensity. We often refer to the output in mechanical movement as amplitude, which is measured in microns. The sonotrode, or horn, delivers the ultrasound onto the welding material. The horn applies pressure to the material and vibrates vertically at a rate of 20,000 to 40,000 times per second (depending on the frequency used). It is this vibration that creates the linear friction that causes the weld joints to melt and bond together. The components are held in place by the anvil. The anvil is the platform on which the two components are stacked, to hold the components together at the correct pressure in order to achieve the required weld. As the welding process requires pressurising to ensure a strong weld is created, the complete welding stack is mounted to a pneumatically driven slide, which enables the tooling to contact the components to be welded, and then 'lift off' after welding, allowing the operator to remove the welded component from the nest. Usual welding pressure is between 1.5 - 3 bar. Once the required vibrational frequency is reached, the pressure can be gradually released and the cooling process begins, thereby solidifying the material and forming the weld. The time this takes varies on the size of the component, type of weld and material, however ultrasonic welding is a relatively fast method. Some welds can form in as short a time as 0.25 seconds. A complete welding cycle is usually completed between 3 - 5 seconds including actuation, welding and cooling. The weld cycle and bond strength can be controlled by varying the amplitude of the tooling, length of weld time and the pressure which is applied. Adjusting these three factors gives users a great deal of precision over the end result. 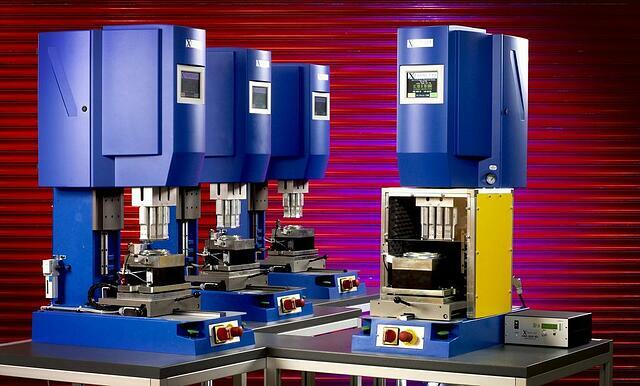 No two ultrasonic welding machines are exactly alike. At Xfurth we have manufactured many bespoke models over the years, developing a group of features to provide you with excellent reliability, stability and ease-of-use. Our ultrasonic welding machines can be used for various welding functions, including component welding, riveting, swaging, inserting, spot welding and de-gating. Costs can range from £12,000 upwards depending on the size and specifications. 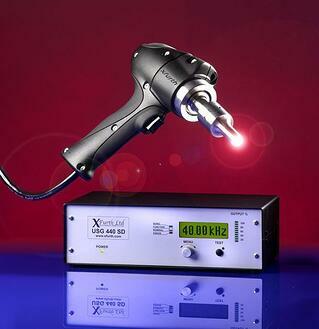 Ultrasonic welders vary from 'standard bench mounted machines’ to purpose built machines. However, at Xfurth even our ‘standard’ machines have everything you'd expect from a higher end model. Whilst a second hand, or a machine purchased from the Far East, may initially cost less - sometimes this short-sighted approach will end up costing you far more in the long run. When it comes to ultrasonic welders it is well worth paying for quality, as this will yield you a more reliable, productive machine with the expected high level of process control. There are plenty of cheap ultrasonic welders on the market which, on the surface, resemble a better made model, however these types of units frequently develop faults and welding errors that can cost operators a lot of money and lost productivity. When investing this amount of money in an asset, we believe it makes sense to choose a British built and designed ultrasonic welding machine. So how do you tell a low quality, cheaply built machine from a high quality welder? The first thing is rigidity. A high quality welding machine will be fully stable when activated. Cheaper grade machines can vibrate and bow under welding pressure. This generates inconsistent movements leading to poor weld quality. The second thing is control. Are you able to load and store welding programmes as well as have full traceability on your manufacturing? This is very important for any ISO accredited business, as well as companies in the medical or automotive industries. We believe in being able to fully utilise process control on our machines, so even our standard machines have the facility to download or stream to a computer to ensure all your data is fully traceable. Ultrasonic tooling involves manufacturing sonotrodes and fixtures for ultrasonic welders, these are usually job specific and are designed to meet the requirements of your application. Our team of design engineers can create any fixture or sonotrode you need to work with any brand of ultrasonic welding machine. We can also manufacture ultrasonic tooling in all frequencies. This is all manufactured on-site at our Luton factory, where we have a fully operational tool room. The design of your tool is critical to achieve its desired outcome. To do this we start with an understanding of the looked-for characteristics of your end product and work backwards from there. Based on the part size, material, shape and weld integrity for your component, we will design you a custom tool that achieves your result in the fastest, most energy efficient and cost effective way possible. Ultrasonic tools are made from metal, either Aluminium, Titanium, or hardened steel being the most common. There is a cost difference between the material choices due to manufacturing time and material cost, but more importantly the chosen material for your sonotrode is dependent on the application or the material you are welding. For instance, when choosing glass filled Nylon as a material for bonding, then you will most likely require hardened steel tooling as the glass will be abrasive and wear the tooling very quickly if it is made in a softer metal alternative. Sonotrodes / Horns: As the operational end of an ultrasonic welder, bespoke sonotrodes are frequently required to achieve the specific weld strength and cycle required by your application. At Xfurth we have many years’ experience manufacturing sonotrodes for ultrasonic welding machines. With our CNC equipped tool room, we have the capability to manufacture sonotrodes in Aluminium, Titanium and hardened steel. As we keep a large stock of material we can usually manufacture your tooling within a very short lead time. Full technical advice and support is also available for existing tooling. Boosters: We manufacture a range of standard boosters, available in various ratios. The actual ratio required for a particular application will vary. We will be pleased to provide technical advice on request. Standard boosters have threads to match the transducer on the input end, with a matching thread on the output. Special components with different thread sizes are also available, as are adaptor studs. Location Nests: Component nests and location fixtures can be supplied in machined or cast design to suit your assembly, and if required can incorporate pneumatic clamping and part ejection. Ultrasonic tooling can cost anything from a few hundred to a few thousand pounds, depending on the material you need, the size and operating frequency. The biggest costs that an ultrasonic welding machine incurs over its lifetime are replacement tools, especially if these are non-standard parts. In the long term, you can expect tooling to last hundreds of thousands of cycles. However, if tooling fails, this can usually occur with no discernible warning. At Xfurth, we can turn around and prioritise your tooling breakdowns to ensure you are up and running in a matter of days. Even the issues listed above can be overcome with the right design strategy. 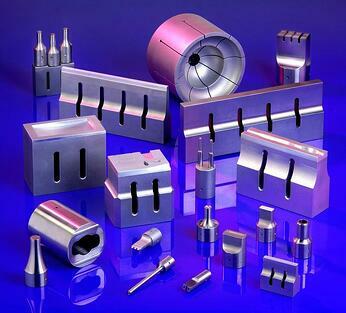 At Xfurth we have extensive experience of creating custom tooling that stands the test of time. Simply get in touch by calling 01582 436 000 to discuss your application with one of our engineers. 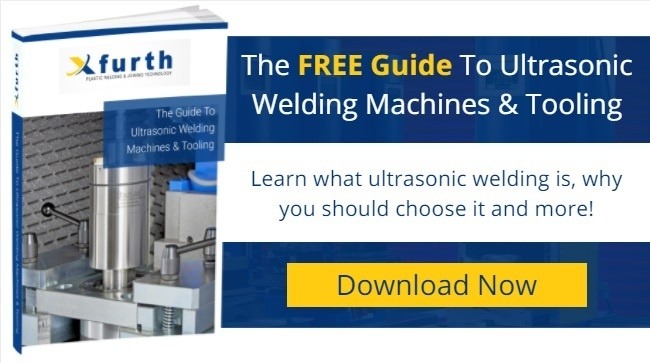 After reading this guide, we hope we have given you enough information to decide whether ultrasonic welding is the right choice for your application. If you would like to find out more about taking the next steps, this final section shows you what to do and what our sales process looks like. A quick Google search will find you a number of ultrasonic welding machine suppliers, so why choose Xfurth for your equipment and tooling requirements? Our answer to this is simple. When you are investing a large sum of money in a precision piece of equipment, surely it makes sense to deal directly with knowledgeable engineers, rather than salespeople. This isn’t to say that there isn’t some great kit out there – there is. Nevertheless most places that sell ultrasonic welders don’t make the equipment themselves. They are only distributors or agents in the UK, not manufacturers. Furthermore, a distributor has an inventory of products which they need to sell to make a profit. So when their salespeople are listening to your requirements, they’ll be thinking of ways in which their current stock matches your requirements. They will inevitably suggest the product as the solution. It is unlikely to be a perfect fit. This is the opposite of the approach that we take. As we are a manufacturer ourselves, we design equipment to exactly meet our customer’s applications. We listen to your requirements and then use our expertise, knowledge and engineering experience to custom design the perfect ultrasonic welding machine for your business. This is the Xfurth way of doing things. For long term production or larger projects, the most cost effective approach is to purchase a machine. This is a one time investment that will soon recoup its costs in terms of efficiency and productivity. We also provide on-tap expert technical advice, training, installation and ongoing support as part of the price. If you are interested in purchasing an ultrasonic welding machine from Xfurth, the first step is to make an initial enquiry by phone, email or through our website landing page. Full details of how to get in touch are given below. At this stage, the more we know about your project, the better we will be able to help you. So please provide us with CAD data, expected production volumes, required weld integrity and material selection (if this information is available). Once you’ve told us about your project, we can get the ball rolling by arranging your Feasibility Study. A lot of manufacturers charge a fee for this service, but at Xfurth we offer the Feasibility Study free of charge to all potential customers. The Feasibility Study includes a face-to-face meeting at your premises, where we provide consultancy on your project, including a review of your technical drawings, CAD data and product requirements. We can advise you if ultrasonic welding is the right solution for you and suggest a design, or if an alternative welding technique is better suited. We may recommend some CAD changes as part of our consultancy. If so, we can revisit your data once you have made the required changes. On receiving your order we will produce a timing plan for the project, carry out first product trials and second acceptance trials if required. Once ready, we will install the equipment at your premises and provide your team with full training on its use and maintenance. We can conduct training on-site at your location or at our facility in Luton, depending on what works best for you. After installation and training, you can continue to benefit from our first class UK based after sales and technical support service. We undertake all Feasibility Studies free of charge, talking through and discussing design changes until you are completely happy with your welding solution. This expert consultancy service is provided with no obligation to purchase. It is important to us that you make the right choice for your application and you get a machine that meets all your requirements.